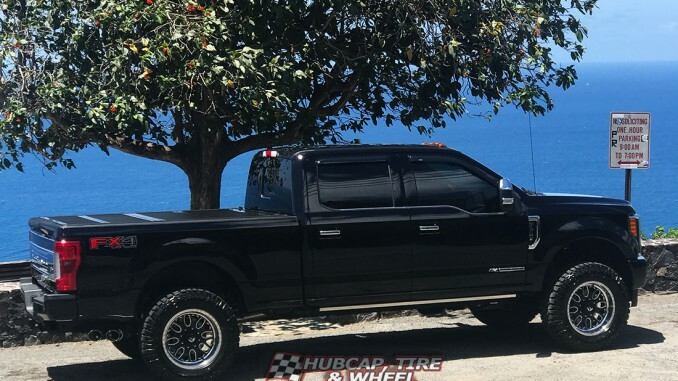 Take a look at our customer’s new black 2017 Ford F-350 Super Duty FX4 Platinum truck with Fuel Forged FF19 rims. This truck looks amazing with the wheels and tires setup. The shinning mud terrain Toyo tires really help make the picture pop. The color combination between the black truck and the polished lip on the wheel to match the chrome accents is just awesome. Fuel Forged wheels are all custom made so you can fully customize them with color patterns that you want. In this case our customer went with Fuel Forged FF19 black face, milled accents and machined/polished lip. You can also choose from NINE different lip styles which you will find on all the Fuel Forged pages. We weren’t joking when we said you can completely customize this wheel. To order these wheels the right way, you really need to speak with one of our wheel and tire experts because of all the different options and choices. In our opinion, it’s absolutely worth it because you are building a wheel that no one else has. It’s 100% your designed wheel. To get started with that process or if you have any questions about any other wheel we carry please don’t hesitate to call us: 800-232-0734. We have wheel and tire experts waiting to answer any questions you have Mon-Fri 8:30am-6pm EST and Sat 9am-4pm EST. 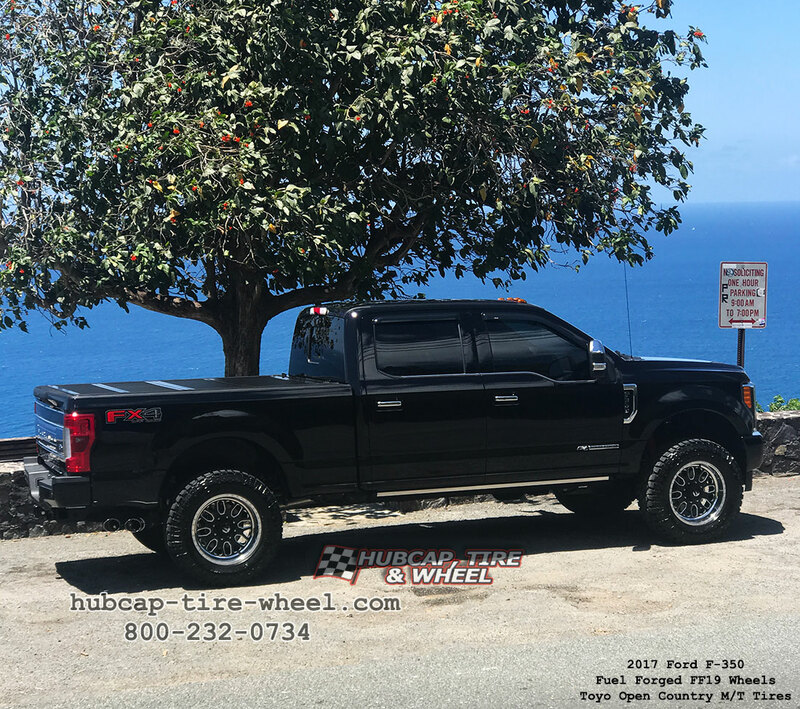 You can also comment on this post or go to our web site: hubcap-tire-wheel.com and click on the contact us button located at the top of every page.